Centigrade provided pre-production, design and on-site support for Alfa Romeo during their sponsorship of the Rodeo Drive Concours d’Elegance event that took place on Father’s Day. 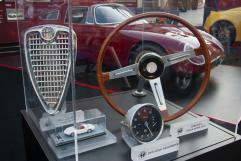 As the honoured marque, Alfa Romeo engaged guests through a prominent display on the 200 Block of Rodeo Drive that featured an Alfa Romeo history timeline wall, two 4C models, and a historic Alfa Romeo TZ. Guests were able to enter for a chance to win a 3-hour test drive in the 4C Spider, and were given Alfa Romeo golf ball markers as a memento. 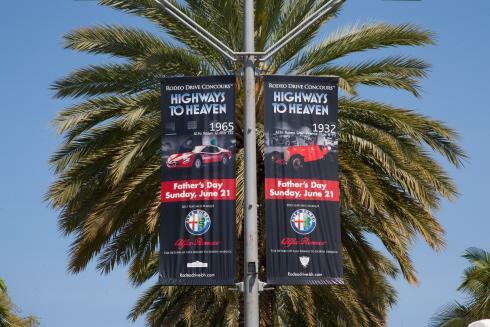 Alfa Romeo banners graced the streets of Rodeo Drive, providing optimal exposure for the brand. 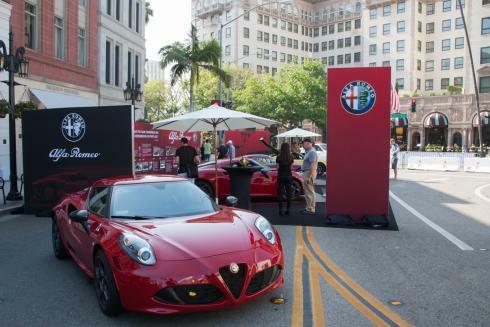 Through our support, Alfa Romeo captured 200 registrants during the Rodeo Drive Concours d’Elegance event.